Hardly anybody finds their dream house, takes out their wallet, and pays the seller in full. To do that, you’d need to have some serious cash saved up or be buying a dollhouse. But you can buy a house (a real, human-sized one). You'll just need to find the right mortgage—and negotiate a deal that works for you. You want to buy a home—but you can’t afford to drop hundreds of thousands of dollars. You need to take out a mortgage. You'll just need a mortgage. And you're not alone. Nearly 9 in 10 American homeowners turn to mortgages to help them purchase their homes. Mortgages are loans given by banks or lenders. These loans can cover up to 97 percent of your home payment. In exchange for the loan on your new home, the lender will collect interest on the investment over an extended period of time. The interest on the investment is the money you pay back to the lender every month until the mortgage is paid off and the house is all yours. Beware: If you stop making your payments, the lender can take ownership of the property and evict you. It’s important to keep this in mind—especially if you’re a first-time home buyer. Most mortgages last 15 to 30 years, so it’s common for homeowners to carry these debts on their backs for decades. While about 30 percent of Americans are mortgage-free, that number largely depends on where you buy your house. In higher-priced markets—Washington, D.C., for example—fewer Americans are mortgage-free. But mortgages are nothing to be afraid of. Like student loans, mortgages are an example of “good debt.” Good debt is debt that either increases a person’s earning potential or drives up their net worth. Since real estate is an investment that will increase in value over time, it will drive up your net worth. This is the amount of debt you have versus your total monthly income. Mortgage lenders will look at your debt-to-income ratio before and after proposing a mortgage payment and determine if you’re eligible to pay it back. Really, they just want to make sure you’re not overextending yourself and that the loan will work with your income. Most banks want your debts to be less than 43 percent of your household’s total monthly income. This lets them know that you'll be able to make your payments every month. Lenders will pull your credit report multiple times as part of the mortgage process. They’ll usually check when you first apply and then again at closing to make sure there haven’t been any major changes. To qualify for a traditional mortgage, you’ll need a credit score of 620 or higher. The higher your credit score is, the more likely you are to get lower interest payments and better terms. FHA loans—Federal Housing Administration loans—can get approved with credit scores as low as 500. A higher credit score will still afford you some perks, though. With a score of over 580, an FHA loan will only require a down payment of 3.5 percent of your home’s purchase price. If you’re ready to throw down 20 percent of the asking price on your new home, you’ll likely have good mortgage options and greater flexibility. That said, the average American puts 11 percent down on their home, which is significantly less than the “standard” 20 percent. For buyers under the age of 35, that number drops to just 8 percent. 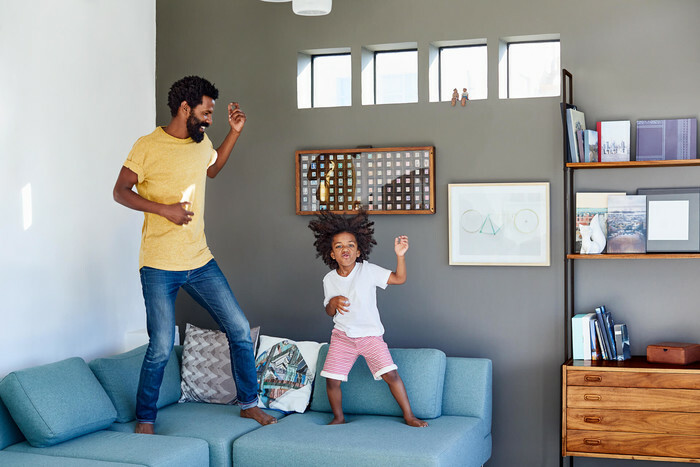 So, don’t be afraid if you can’t pull together the full 20 percent of your home’s purchase price—you’re in good company. How much money you can afford to put down at closing, your employment history, and your net worth each play an important role in deciding whether or not you get approved for a mortgage. When you do get approved, they’ll also play a role in determining what the rates and conditions will be. The second mortgage costs $98 more per month— that’s $1,176 per year. By the end of the 30-year repayment period, you will have spent $35,008 more on interest for your mortgage. That’s a big difference. Having your personal finances and credit history in order is essential before diving into the mortgage process. Different banks, lenders, and loan officers will look at your mortgage application differently. Because of this, it’s important to shop around when you’re applying for a mortgage. The more you look, the more options you’ll have. 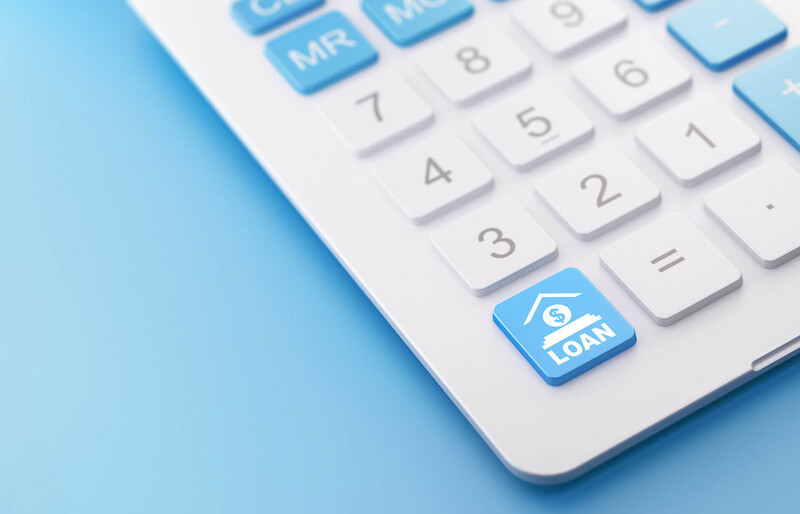 Even when you’re given an offer, you can and should negotiate mortgage rates and other accompanying expenses to lower your monthly payments and overall loan cost. Knowing your options is essential when you’re shopping for a loan. It gives you the leverage to negotiate and the ability to consider your choices so that you can make the choice that’s best for you. 1. Pull your credit report and see where you stand. Websites like FreeCreditReport.com and Credit Karma will let you view your score and complete a three-bureau report for free each year. Knowing where you stand will give you some leverage when talking to banks and lenders. You’ll have a better idea of what you can afford with your credit score by your side, and you’ll be able to negotiate with more confidence. This cannot be stressed enough. You need to know your own financial limits before you make any investment. 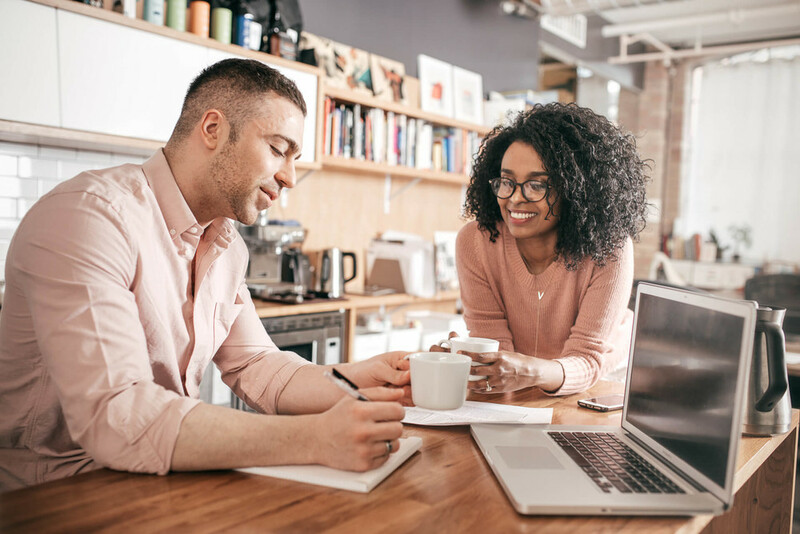 While buying a home is exciting, it’s important that you look out for yourself and make sure you aren’t overextending your budget. 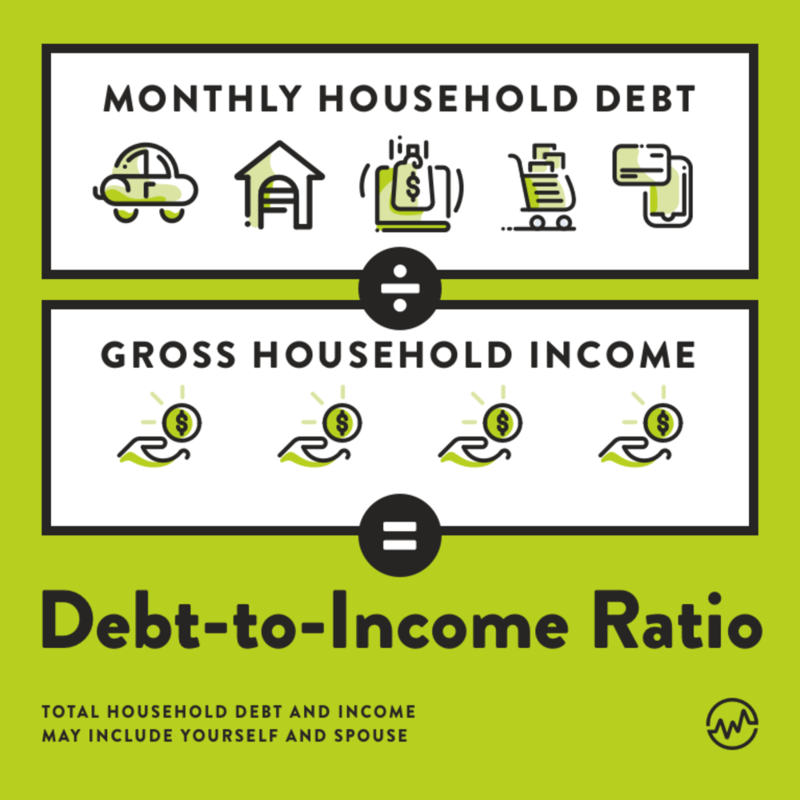 Run the numbers and determine your debt-to-income ratio to figure out what you’re working with. To do this, simply add up all of your debt payments—existing mortgages, credit card payments, student loans, car loans, and other revolving credit—and divide that by your gross, or total monthly, income. Your gross income is yours and your spouse’s monthly income before taxes. 3. Call at least five banks, lenders, and mortgage brokers. Think of mortgage brokers as mortgage tour guides. 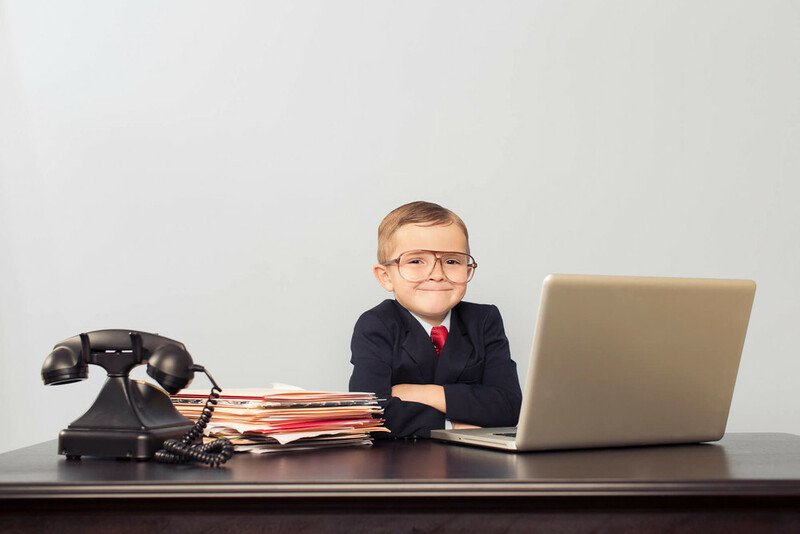 They’ll walk you through the process of taking out a loan, negotiate mortgage rates with banks and lenders, and connect you with a loan that fits with your wants, needs, and finances. When you reach out, ask about current mortgage interest rates. This will give you an idea of what you’ll be paying month-to-month when you do close on a house. Make sure to ask your mortgage broker if their quote for mortgage interest rates is based on the day or the week. You can never assume that your last rate quote still stands, so check often. You always want the most recent information. Then, find out if those rates are fixed or adjustable. Adjustable mortgage rates tend to be lower at first glance. However, when interest rates go up, your payments will increase with them. Fixed mortgage rates remain the same for the entire duration of the loan. Fixed interest rates are a bit higher, but your monthly payments won’t change. Having the answers to these questions will help you to determine what your payments will look like once you’re locked into a contract. Ask now to avoid any nasty surprises later. Discount points are fees paid when you close on your new house. These points lower your long-term interest rate—usually 1 percent of your loan. For example: On a $100,000 mortgage, you could potentially pay $1,000 to buy a point, then reduce your interest rate by 0.25 percent. It doesn’t sound like a lot now, but think long-term. It adds up. In the Mortgage 2 scenario above, you could save $15 per month and $5,704 over the life of your loan. Closing costs include a handful of payments: loan origination fees, surveys, appraisal fees, and title insurance. On average, closing costs range from 2 to 4 percent of your down payment but can be significantly higher in pricey neighborhoods. There’s room to negotiate your closing costs too. If the closing costs seem high to you, ask for a list of the fees you’re being changed. Can any of them be waived? Also ask for what’s called a Closing Disclosure form. Compare what’s on the form to your loan estimate. If there are any discrepancies, this can be a good negotiating point. Be proactive. Request a pre-qualification from all or most of the lenders you chat with. While each pre-qualification will pull your credit score, the credit bureaus know people shop around for home loans. Will mortgage shopping affect my credit? To work with home buyers, credit bureaus only count one hard credit score pull per month when you’re making a mortgage request. As long as you make all of your requests within a 2 to 4 week period, you won’t see any impact to your credit score beyond what it would be for one inquiry. With this insight, you’ll be better positioned to negotiate mortgage rates. From there, you can determine the home loan that’s right for you. Remember: you CAN negotiate mortgage rates and—more importantly—you should. Even a small adjustment in interest rates or terms can save you thousands or even tens of thousands of dollars over the life of a home loan. That makes shopping for and negotiating mortgage interest rates essential, so don’t be afraid to dig in and see what’s out there.